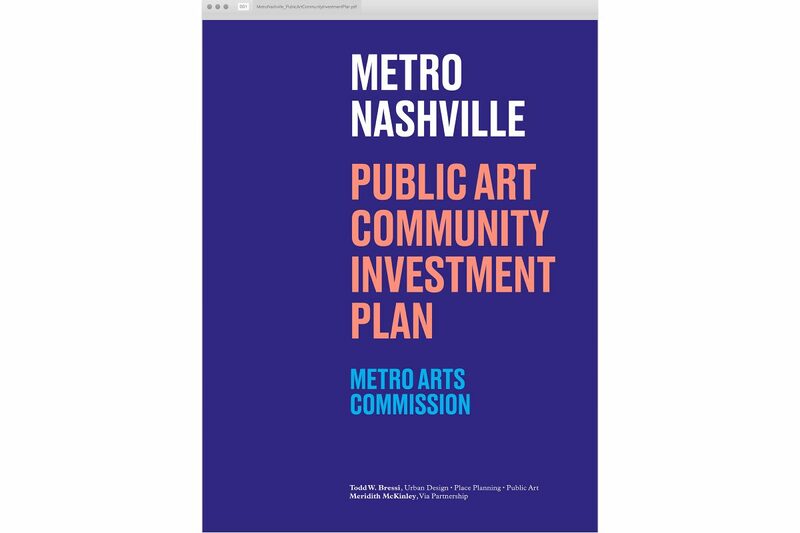 Metro Nashville Arts Commission completed a strategic planning process to establish the vision, goals and best practices for the city’s public art program. We were tasked to design the full-report, a 133-page pdf document made available online, as well as an executive summary booklet with accompanying theory of change chart. The brief was to make a substantial and sometimes technical report accessible and appealing to a diverse audience of prospective partners ranging from government agencies to progressive arts organizations. The aim for the design was to reflect the energetic and independent culture of the city and convey Metro Arts’ expertise as a leading arts organisation.